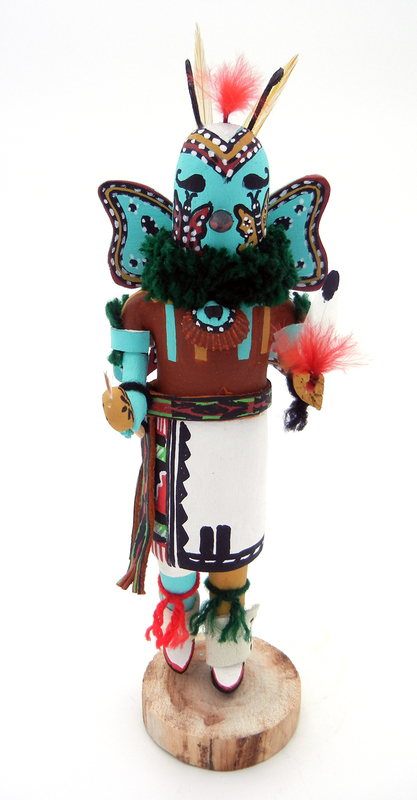 The Butterfly Kachina, who, unlike most of its brethren kachina, is not typically seen masked. 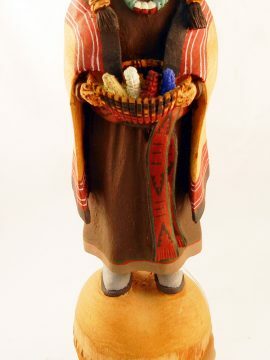 This version, by Paul Gachupin of Jemez Pueblo, was created in that same style, carved out of cottonwood and set on a pine base. 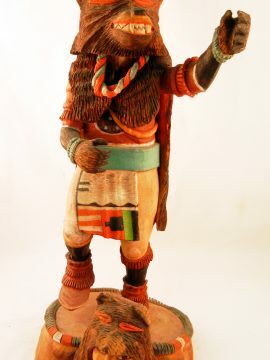 The Butterfly Kachina, or, in this case, “butterfly man,” directs the Medicine Man to ingredients that can be used to make medicine, and is also said to bring together unmarried men and women. The head and wings of the piece are painted predominanlty in turquoise, along with white, black, red, and yellow accents, including a butterfly on each cheek. 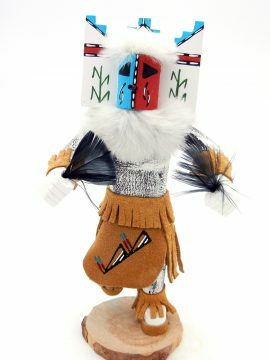 Butterfly man’s body is painted brown, with turquoise and yellow accents, and a shell rests on his chest, presumably hanging from his neck, which is surrounded by green yarn. 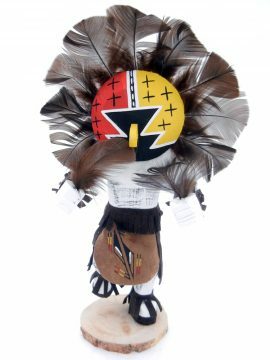 He holds a rattle in one and and a feather in the other, while a brown leather sash painted in red, black, and green surrounds his waist. 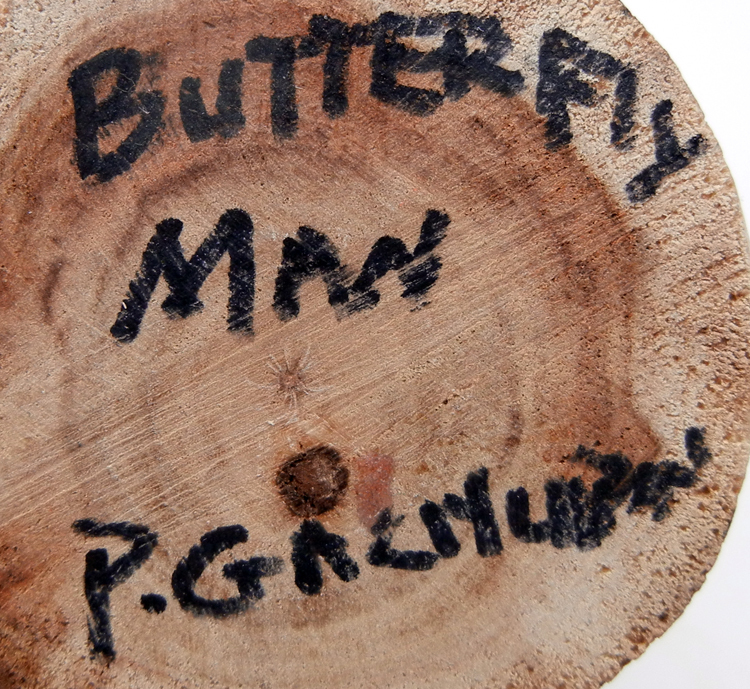 9 1/2″ tall x 3 1/2″ wide.